The political system of Iceland. 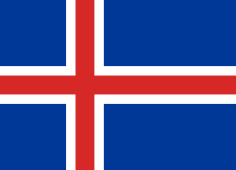 Politics of the Republic of Iceland take place in the framework of a presidential representative democratic republic, whereby the President is the head of state, while the Prime Minister of Iceland is the head of government in a multi-party system. Executive power is exercised by the government. Legislative power is vested in both the government and parliament, the Althingi. The Judiciary is independent of the executive and the legislature. It is arguably the world's oldest assembly democracy. Cabinet of Iceland, seat of executive branch. Elected to a four-year term, the president has limited powers and is poised in a largely ceremonial office that serves as a diplomat and figurehead. The prime minister and cabinet exercise most executive functions. The head of government is the prime minister, who, together with the cabinet, takes care of the executive part of government. The cabinet is appointed by the president after general elections to Althing; however, this process is usually conducted by the leaders of the political parties, who decide among themselves after discussions which parties can form the cabinet and how its seats are to be distributed (under the condition that it has a majority support in Althing). Only when the party leaders are unable to reach a conclusion by themselves in reasonable time does the president exercise this power and appoint the cabinet himself. This has never happened since the republic was founded in 1944, but in 1942 the regent of the country (Sveinn Björnsson, who had been installed in that position by the Althing in 1941) did appoint a non-parliamentary government. The regent had, for all practical purposes, the position of a president, and Björnsson in fact became the country's first president in 1944. The governments of Iceland have almost always been coalitions with two or more parties involved, because no single political party has received a majority of seats in the Althing during Iceland's republican period. The extent of the political powers possessed by the office of the president are disputed by legal scholars in Iceland; several provisions of the constitution appear to give the president some important powers but other provisions and traditions suggest differently. The president is elected every four years (last 2016), the cabinet is elected every four years (last 2013) and town council elections are held every four years (last 2014). Parliament of Iceland, seat of legislative branch. The modern parliament, called "Althing" or "Alþingi", was founded in 1845 as an advisory body to the Danish king. It was widely seen as a reestablishment of the assembly founded in 930 in the Commonwealth period and suspended in 1799. The Althing is composed of 63 members, elected every 4 years unless it is dissolved sooner. Suffrage for presidential and parliamentary elections is 18 years of age and is universal. Members of the Althing are elected on the basis of proportional representation from six constituencies. Until 1991, membership of the Althing was divided between a lower and upper house but this was changed to a fully unicameral system. For other political parties, see List of political parties in Iceland. An overview on elections and election results is included in Elections in Iceland. After four four-year terms as the world's first elected woman president, the widely popular Vigdís Finnbogadóttir chose not to run for re-election in 1996. More than 86% of voters turned out in the June 29, 1996 presidential elections to give former leftist party chairman Ólafur Ragnar Grímsson a 41% plurality and relatively comfortable 12% victory margin over the closest of three other candidates. Traditionally limited to 6–12 weeks, Iceland's campaign season was marked by several intensely personal attacks on Grímsson, a former finance minister who tried to erase memories of his controversial support of inflationary policies and opposition to the U.S. military presence at the NATO base in Keflavík. Grímsson successfully has used his largely ceremonial office to promote Icelandic trade abroad and family values at home. The next presidential elections will be held in June 2020. The last parliamentary elections took place on April 27, 2013. The ruling government was the first majority left-wing government. The ruling coalition parties, the Social Democrats and the Left-Green Movement lost 18 seats in Alþingi and lost its majority. The Progressive party was the largest party after the election and formed a coalition with the Independence Party. A total of 193,792 votes were cast constituting 81.4% of the 237,957 electorate. In losing four seats in the April 1995 parliamentary elections, the IP and SDP (so called Viðey government) mustered a simple majority in the 63-seat Althing. However, Prime Minister and IP leader Davíð Oddsson chose the resurgent Progressive Party (PP) as a more conservative partner to form a stronger and more stable majority with 40 seats. Splintered by factionalism over the economy and Iceland's role in the European Union (EU), the SDP also suffered from being the only party to support Iceland's EU membership application. The beginning of the millennium saw a merger of all the left parties to form the Social Democratic Alliance. Some members chose to join another new left party instead, the Left-Green Movement. After the PP's loss in the 2007 elections its longstanding alliance with the IP ended despite still being able to form a majority. Instead the IP's leader Geir Haarde chose a stronger but somewhat unstable coalition with the Social Democrats (the Þingvellir government). Haarde's administration fell apart in January 2009 and he called for an early election before standing down as party leader. The Social Democrats subsequently formed an interim government with the LGM. In the resulting election, Jóhanna Sigurðardóttir's administration prevailed, the first time Icelanders voted for a majority left-wing government. The judiciary consists of the Supreme Court (Hæstiréttur) and district courts. Justices are appointed for life by the minister of the interior. The constitution protects the judiciary from infringement by the other two branches. ↑ Power Struggle. Marguerite Del Giudice. National Geographic. March 2008. p. 85.